Compliance made easy with digital storage of training records and certificates, automated expiry alerts, and detailed exception reports. Keeping track of employee training has never been easier. With our robust Training Record Management System, you can upload employee training records, including a copy of each certificate, regardless of the training provider. 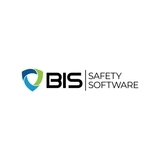 Once records are uploaded, automatic expiry alerts can be sent to employees, supervisors, and managers to help ensure your employees’ training is always up to date. Auto-Assign Training: Through use of the training matrix, configure the system to automatically assign online courses when training records expire. Scheduled Excel Reports: Schedule the delivery of automated monthly, weekly, or daily emails containing detailed Excel reports to supervisors and managers, letting them know what training is expiring when and for whom. Training Matrix Integration: Instantly update training gap reporting for each location or region by allowing uploaded training records to satisfy company training requirements. Mobile Friendly: Access employee training record details from any smartphone, iPad, or Internet-ready mobile device. Quick Upload: Upload thousands of training records directly into the system using Excel, then use the innovative drag-and-drop technology to quickly import images of certificates, making the setup process easy. 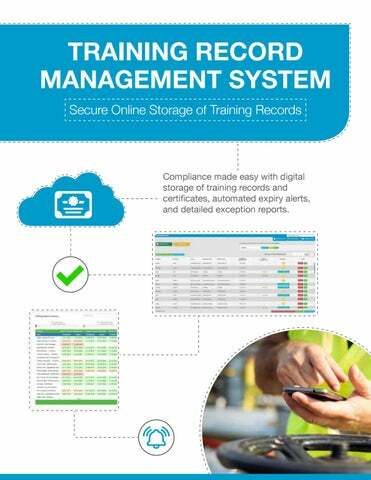 Cost Savings The Training Record Management System’s ability to allow your employees to upload their own training records dramatically reduces administration costs. You can provide employees with the ability to upload records directly into their account or through the SafeTapp mobile app. They can also upload certificates directly into an online course using their webcam to take photos of their certificates and wallet cards.